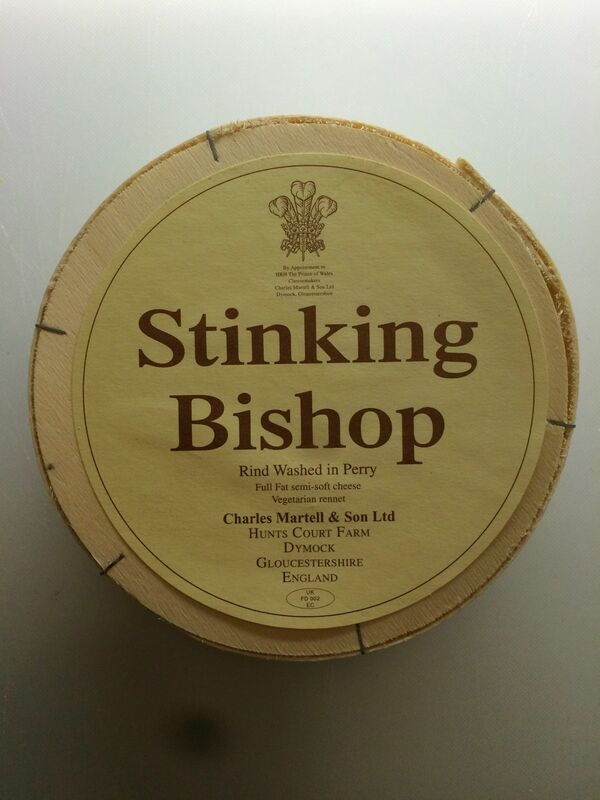 Stinking Bishop is one of Britain's most famous cheeses at the moment and is becoming an English institution. It has been voted 'Britain's smelliest cheese' and while it is strong, it's actually not overly so, especially to the taste. The name 'Stinking Bishop' doesn't refer to the cheese directly. Stinking Bishop is actually the variety of pear that is used to make the perry (pear cider) in which Stinking Bishop is washed. This washing gives the cheese a strong flavour and mild pungency, but what really makes the cheese special is the combination of this flavour with the light, mousse like texture of the cheese. 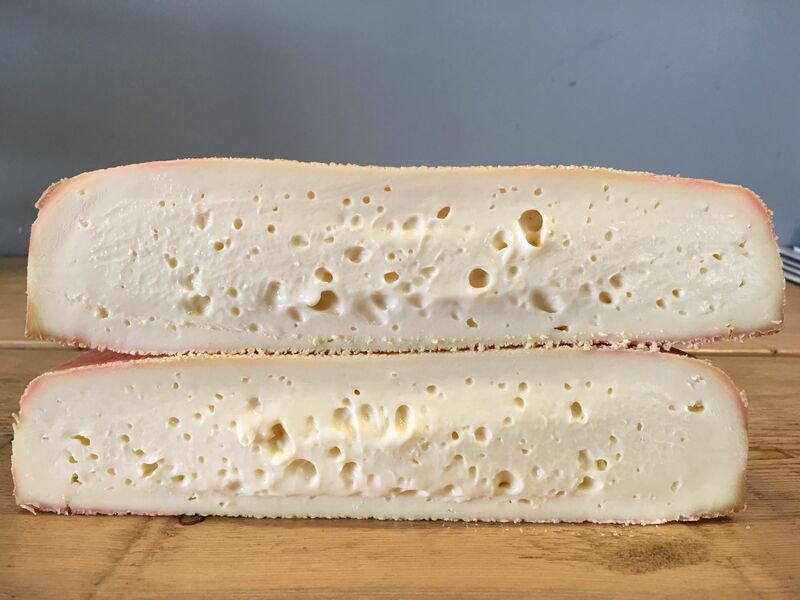 Very soft and gooey, Stinking Bishop will spread over your cheeseboard if left to its own devices and we love it for it. The flavours are similar to what you'd expect for a washed-rind cheese, strong and meaty with a smooth aftertaste and creamy texture. We sell Stinking Bishop in cut sizes or as a 500g whole baby cheese (stock permitting), so invite your family and friends over, get a few bottles of prosecco and tuck in! Any cheese lover must be able to say that they've tried Stinking Bishop.